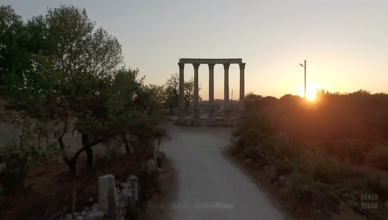 Contributor and drone pilot Skaty created this epic aerial video of the ancient town of Olba, in southern Turkey. Olba was an important city in the Roman province of Isauria. It is located in the present day province of Mersin, one of the easternmost of the provinces in Turkey's Mediterranean (southern) region. The ruins you see in the video are approximately 2,000 years old. Olba is included in the Catholic Church's list of "dead diocese". Description: An ancient city "Olba" located in Turkey.